Windows Vista, 7, 8, 8.1 or 10 (32 or 64bit). .
NET Framework/VS.NET 2010-2015 (for .Net support). ● User Interface: The HelpStudio Ribbon based user interface includes advanced features such as collapsible dock windows, a Tabbed MDI document area and document windows that can be floated onto secondary monitors for multi monitor support. The Tabbed MDI as implemented in HelpStudio allows you to split the document area into Tab Groups in order to work with multiple topics or other document windows side by side even on a single monitor. ● The Template Concept: HelpStudio leverages Html based page templates so that common page elements such as page header and footers are automatically generated. This feature is a crucial time saver, and ensures that as you evolve the look and feel of your help systems you don't have to go back and rework individual topics. You can choose entirely different Templates for different outputs. Tablet and Mobile Support: The responsive support in HelpStudio allows you to generate a single output that automatically adapts to the device profile; delivering an optimal browsing experience for Desktop, Tablet and Mobile from a single output. Tablet and Mobile devices benefit from buttonized links, a button based fly out Table of Contents and other automatic features that dramatically improve the end user experience. ● Project Tools: HelpStudio can verify links, check spelling, Find / Replace and identify unused images across an entire project. All of the Project tools are integrated seamlessly and are not bolted on separate tools. ● Content Editor: The HelpStudio content editor provides powerful authoring functionality including table editing (row, column or cell cut/copy/paste, resize), unlimited undo, hyperlink designer, build flag highlighting. The Xhtml source editor includes intellisense and tag completion. ● Multi Language Authoring: HelpStudio allows you to work with any number of additional languages in addition to the primary language of your project. Define the project structure and Table of Contents just once and then localize for the additional languages. Easily switch between locales, track the localization status of any project item and work with 3rd party translation providers using the integrated Xml or XLIFF localization export and import. ● Team working: Working in a team and want several members to contribute to or review the help system? HelpStudio has fully integrated support for Source code Control systems (Visual SourceSafe, Team Foundation Server and Subversion). Unlike other Help Authoring tools, HelpStudio does not require that you check the project in and out as a whole - individual team members can independently work with different Topics, even the Table of Contents and Glossary in the same project simultaneously. The source control functionality is integrated directly into the HelpStudio user interface. .NET Framework 4.0 or later is required in order to install and use HelpStudio. The .NET framework is downloaded and installed automatically by the HelpStudio setup if it is not already installed. Internet Explorer 8 or higher is required to install and use HelpStudio. ● The Ratings Bar, displayed in the page header, shows the average rating this page has been awarded to date. can simply click on the bar to submit a rating. ● Private Notes, in the page footer, allow to store private notes against a particular page - e.g. reminders of best practices, additional information specific to the user. Private Notes are only visible to the user who created them. ● Public Comments, also in the page footer, provide a way to build community amongst your by allowing them to comment and share information on the help content they are using. Public Comments can also be used as a means to gather feedback from on the usability of the Help Systems you author. Public Comments are visible to all users of the Help System. ● The Community Feature Selector in the page header allows to enable / disable particular Community Features according to preference. Community Extensions was designed with simplicity in mind - both from the perspective of implementing Community Features in your Help Systems, and from a perspective in using the Community Features. In addition to the ease of implementation and use, Community Extensions offers several important benefits over other ways that you may be considering implementing Community Features. Community Features are seamlessly integrated with the rest of your content, even when you are authoring. Your testers can instantly gain the benefit of Community Features whilst they are reading the help, and you can see the Community Features whilst you are authoring. Community Features are available in the following help output formats: web help, HTML Help 1.x and Help 2.x. Many other implementations restrict you to a custom help viewer, or only support web output. Community content is linked to a specific page and will appear wherever the Help System is viewed. For example, a private note created by a particular user on his desktop machine will also appear if he views that same Help System on his laptop machine. Users can have confidence that the notes or comments they rely on will be there the next time they need to refer to the Help System. A particular Help System is identified by an "Project Key" value that you specify in the Project. This Project Key can remain constant for new versions of a Help System in order to retain previous community content, or can be changed to start a new set of community content. Community Extensions can be configured to notify you when new Community Content is created. Community Extensions can also be configured to require approval by a moderator making new Community Content publicly visible. These options keep you in control of the content that appears in the Help Systems you create. 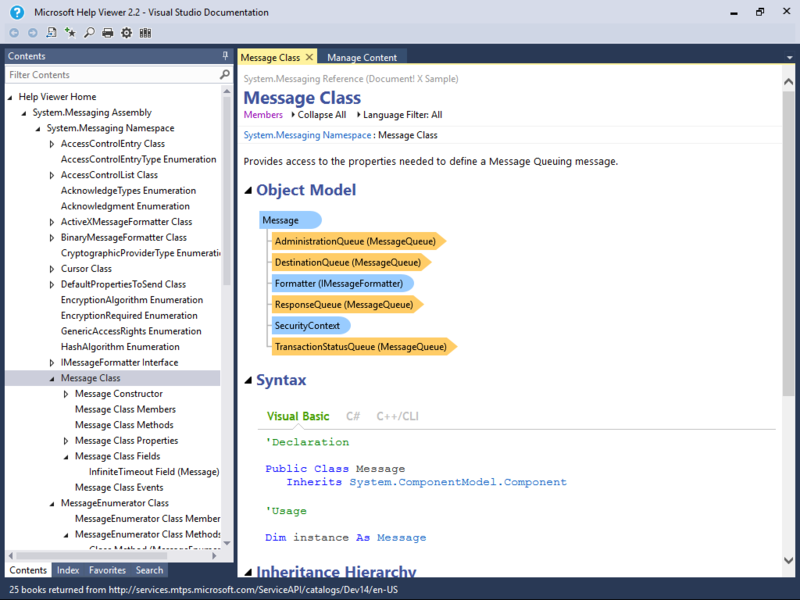 The Community Extensions ASP.NET application uses the ASP.NET membership framework for user authentication and management features. This enables you to integrate Community Extensions with your existing authentication process where necessary, or be up and running with the built in user management and authentication features right out of the box. Translations can be customized after installation. The localization used automatically matches the Phrase Languages chosen in the project.